I will be teaching at the Quilt Expo in Madison Wisconsin. 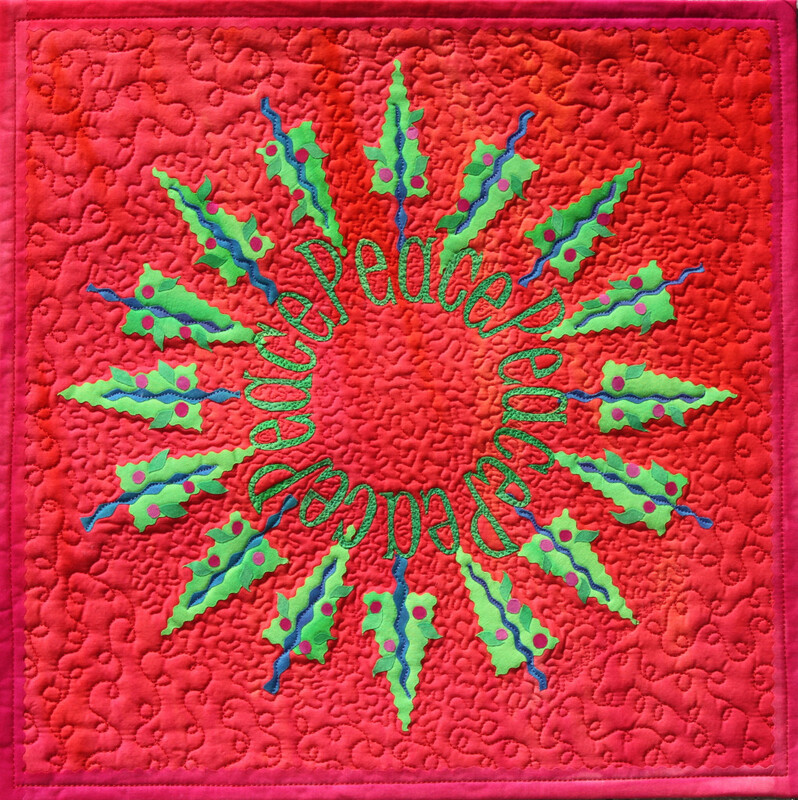 Two Free Motion Machine Quilting classes, and two fusing class making the wall piece – PEACE. You can still get in my fusing classes there are a few openings left. Be sure and stop by and check out all our goodies. As part of being a teacher I get two free 3 day passes to the show. I really won’t be using these passes as I get in with my vendors pass. SO I thought I would offer them up as prizes. Leave a compelling comment on my blog this week as to why you should receive one of these passes. ON Sunday I will pick two lucky people to receive a pass for the show. All you have to do is get there and then enjoy the show for three full days an $16 value. Common Threads Quilt Guild Columbus OH here I come.